Thanks to everyone in the community who entered our first ever People’s Award in 2018 for a transport planning project that has had a positive impact on people’s lives. Our expert panel of judges whittled down the shortlist to six finalists after receiving entries from across the UK. 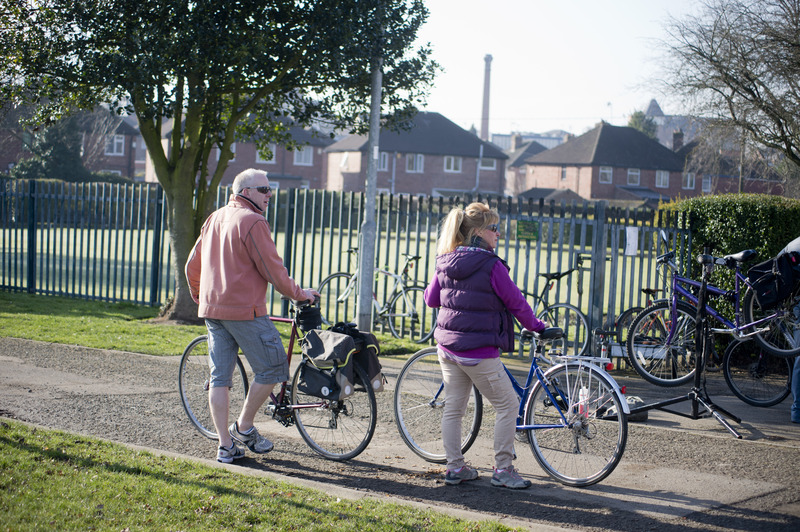 Launched earlier in 2018, the People’s Award for a local transport planning initiative invited communities to demonstrate how transport planning projects, whatever they might be, had made a positive impact in their area. The competitive judging process was led by Stephen Joseph OBE, former Chief Executive of the Campaign for Better Transport. The panel looked at community schemes that had made a real difference to people’s access to services, quality of life and wellbeing. A vintage bus route in Sevenoaks that’s boosted the local economy, an employee cycling club for a major car manufacturer in the West Midlands, a community parklet in Hackney and a shared walking and cycling route in Scotland are all among those included in the final shortlist. This shows how diverse transport planning can be and how it reaches into every part of people’s lives. All six finalists were invited to celebrate reaching the final stages at a special ceremony in the House of Commons on 10 October 2018, hosted by the Chair of the Transport Select Committee, Lilian Greenwood MP. The overall winner was announced at the Transport Planning Day, on 13 November 2018 at the Institution of Civil Engineers in London. “We’re delighted with the wide range of quality entries we received from communities across the UK. It was very hard to reach a final shortlist and the calibre of submissions was good. The whole process – from judging to the final winner - sends a positive message to professionals about what is important to communities in terms of transport and best practice in community engagement in transport planning. “We all rely on transport to connect us to jobs, schools, family, friends and vital services, but it can be easy to forget about the planning that goes into making transport work. “These finalists have shown that when communities take centre stage, telling the professionals what good transport looks like, they can deliver real and lasting benefits for local people. “Congratulations to all the finalists of these awards. The work that transport planners do is vital to ensure the connectivity of communities with essential services and jobs whilst balancing environmental and other issues. The People’s Award is part of the programme led by the Transport Planning Society with support from Arup, Aecom, PBA now part of Stantec, Atkins (a member of the SNC-Lavalin group), Meridian, Steer, Systra and Jacobs. It culminated in the Transport Planning Day (13 November) which brought together transport planners and community groups for a discussion about best practice in community engagement and what transport planners to should look to achieve in developing local schemes. The creation of two cycle centres, funded by Broxtowe Borough Council has transformed the lives of many members of the community. 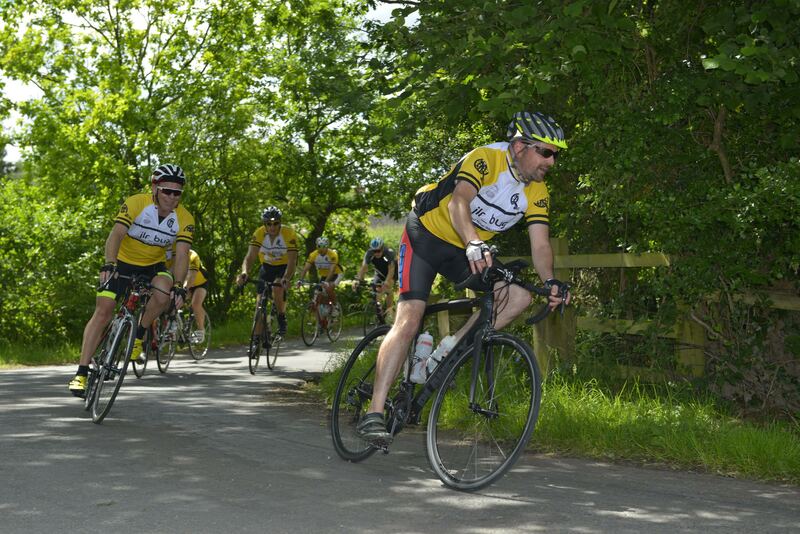 One centre, based in Stapleford, opened every Saturday providing free learn-to-ride sessions for beginners and on-road training sessions for improvers, plus a gentle led ride. Accessibility and affordability were key and free loan bikes were provided for anyone without a bike. Support was given to residents of all ages and a cycling instructor consulted with each participant to find out about their personal objectives, motivations for cycling, setting goals for sessions, and their ultimate objective. - 201 beginner attendances with an average of 16-17 clients per week. - 78 group ride attendances with an average of 5 clients per week. This community-led initiative, to improve residential streets, allows individuals and communities to apply for a parklet in place of a car parking space, that is then managed by the individual and community. A parklet can include seating, plants and flowers, play areas, chilling out space, art work, wi-fi hubs, cycle parking. The campaign for this scheme began in May 2017 by local resident, Brenda Puech, who resorted to direct action to set up a community parklet in a car parking bay outside her home after being turned down for a parking permit. The campaign was supported by the local Hackney and London Living Streets Groups. Brenda’s parklet turned out to be an enormous success within the community. Within a few days it had taken the neighbourhood by storm. Seven visitor books filled up. It received widespread attention on social media and news coverage. Children were its biggest fans. A petition to allow the parklet to remain received over a thousand signatures. The popularity and support for the parklet over the months convinced her local authority, the London Borough of Hackney, to launch in July a community led residential parklet scheme, allowing residents to apply for a parklet in the space of a parking bay. Jaguar Land Rover employs over 11,000 staff and has numerous contractors working on their Solihull site 24 hours-a-day. Large staff numbers coupled with the shift working patterns, creates significant pressure on both car parking and the local road network. The Bicycle User Group (BUG) hold regular events throughout the year to increase the appeal of cycling and get more staff to get to work. This includes Dr Bike sessions, maintenance courses as well as organised rides which engage current, and potential, cyclists across the organisation. The impact of this work is that over 6 per cent of Jaguar Land Rover employees cycle to work, an impressive statistic when 75 per cent of staff live more than five miles away from the site. The Loch Earn Railway Path (LERP) is a community delivered project that began in 2012. To date, the completed works run from St. Fillans to Dalchonzie, around 6.5km running east from the village, creating a previously non-existent off-road link with Comrie (in the Strathearn region of Perthshire). The route now gives locals and visitors the option to travel actively between the villages, without accessing a dangerous trunk road. 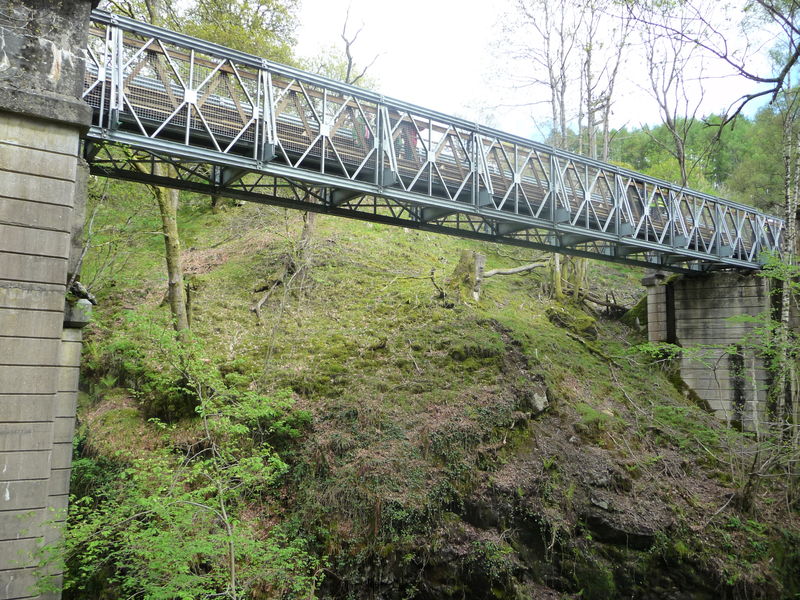 The very first phase of the LERP project saw the construction of the Glentarken Bridge; this has proved to be a significant factor in the whole project as it has re-established a walking link with Lochearnhead. This new bridge now spans a 30m wide gorge, which was previously a major obstacle along the route where the original railway bridge had been removed. Sevenoaks Town Council commissioned an Integrated Transport Strategy which, during consultation for the strategy, one of the key needs identified was for a regular orbital service linking the residential areas to the Town Centre. 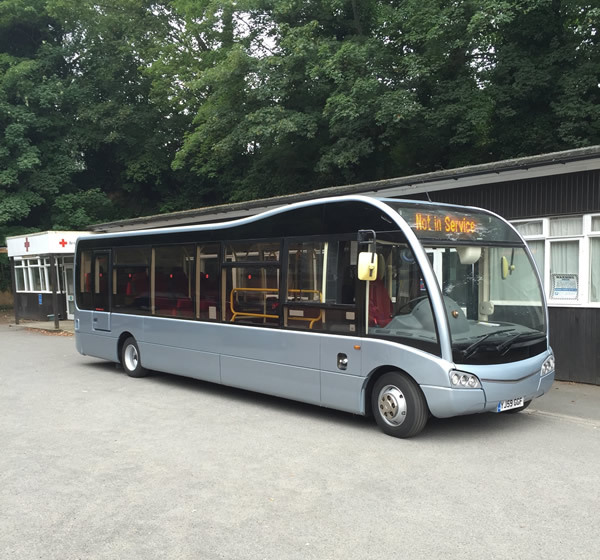 The Town Council worked with Kent County Council and local bus operator Go Coach to put in the place the provision of the No 8 bus originally on a three-year trial. The bus operates six days per week, linking the two train stations, bus station, residential areas and town centre. It operates on a loose figure of eight route – hence its name. The bus is regular and has a £2 one-way journey. The introduction of the No. 8 bus has also enabled the Town Council to provide free bus independent travel within the town for young people aged 11 to 18. Older passengers have said they find the bus a social experience meeting the same neighbours and conversing with the bus driver and helps sometimes with loneliness experiences. The No.8 bus has been successful exceeding original business plan and attracts nearly 80 passengers per day. Established in 2011, the Partnership is a Sevenoaks Town Council initiative bringing together a wide range of people from the local community to establish Sevenoaks as a prosperous and vibrant place to live, visit, shop and do business. The introduction of the Vintage Bus was one of its first projects. Designed to increase the number of visitors and improve footfall to the Town Centre in particular from visitors from the National Trust property, Knole. Research indicated that 90 per cent of people visiting Knole drove straight there and then home without visiting the town. The bus operates as a hop-on, hop-off ticket (£3.00 day ticket). It operates during the summer months and is now in its sixth year. The circular route includes additional stops - Knole, The Stag (theatre and cinema), Sevenoaks Railway station, The Vine (common with cricket), Blighs (shopping centre) and the bus station. Due to popular demand additional stops were added last year. Feedback indicates that during the Vintage Bus operation, independent businesses are more likely to receive international visitors. Local residents are now using the bus route often, instead of taking the car. Older people say they can now visit it the town independently rather than waiting for their grown-up children visiting to take them. The bus operates using Volunteer Bus Conductors and local businesses are able to advertise at a reasonable rate on board. Transport Planning Day was held on 13 November at the Institution of Civil Engineers in London and was attended by a wide range of people. The day offered a fantastic opportunity for the community representatives to engage with transport planning and to celebrate the positive impact it can have on people’s lives, as well as the diversity of our profession. The afternoon session brought together community groups and transport planning professionals for an interactive discussion about best practice in community engagement in transport planning. It enabled the professionals to hear from communities about what they value in transport planning. The evening session featured a keynote speech from Lilian Greenwood MP, Chair of the Transport Select Committee. During the evening, the winner of our first ever People’s Award for a transport planning initiative that has improved people’s lives as part of place-making was announced.